* 1st APPEARANCE (Rachel Summers) as "PHOENIX" * 1st Appearance of "FREEDOM FORCE"
* 1st APPEARANCE (Rachel Summers) as "PHOENIX"
* 1st Appearance "FREEDOM FORCE"
Cyclops has returned to the X-Men at the request of Moira MacTaggert, and is now testing his skills in the Danger Room. 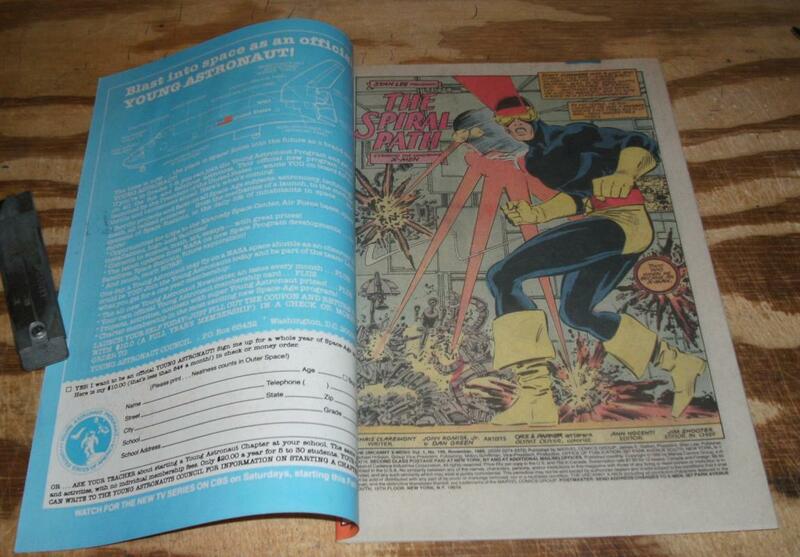 The test shows that despite being on vacation since his marriage to Madelyne Pryor, Cyclops is still at the peak of his abilities. With the session over both Wolverine and Moira congratulate Cyclops on a job well done. They are interrupted by Rachel, who has come to try and tell Cyclops that in her time he and Jean Grey are her parents but chokes up. Moira then impatiently calls Cyclops up to the control room to discuss what she had asked him to return to the X-Men for. Cyclops and Wolverine discuss Rachel's past and before Wolverine can explain why Rachel seems to be so transfixed on Scott, Moira cuts in. She explains that Charles Xavier has not fully recovered from his recent beating and is in fact dying. Cyclops is shocked by this and refuses to believe that he Professor will die and expresses the fact that he doesn't believe Magneto would have reformed. When he asks how long Charles has, Moira tells him that he may live long enough to see Scott and Madelyne's child be born. Overhearing this telepathically causes Rachel to burst into tears. Meanwhile in Washington DC, Valerie Cooper returns home to the shock of her life: A woman in her house who looks exactly like her. It actually turns out to be Mystique, and she reveals her true form. She explains that due to the growing anti-mutant sentiment in America she wishes to give up the services of her Brotherhood of Evil Mutants to the government for full amnesty and protection from any mutant control laws that have been passed. She offers that the group could change its name to Freedom Force and it would be under the full control of the government, unlike the Avengers or Fantastic Four. Valarie likes the idea, however she tells Mystique that this "Freedom Force" is going to have to show its good faith and prove their intentions to the President. 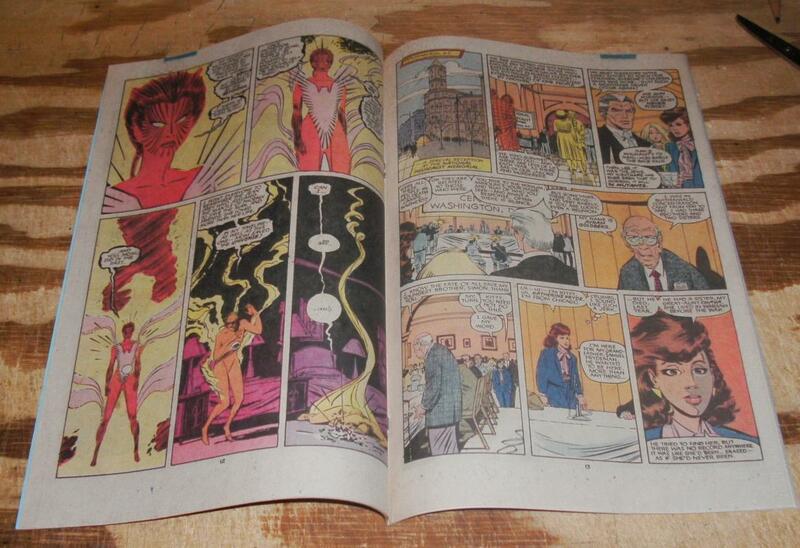 She challenges Mystique to take down the Brotherhood's original leader, Magneto. Meanwhile, Rachel Summers has traveled to Annandale-On-Hudson to visit the grave of her mother Jean Grey to pay her respects. When she goes to the Grey family home she waits for John and Elaine -- her grandparents in her home reality --to leave their home so she can look around. Inside she begins being haunted by the psychic imprints of the Dark Phoenix confronting her parents and her own early childhood memories, visiting the home with her parents when she was only an infant. Going up into the Grey's bedroom, Rachel comes across the holomatrix globe given to them by Lilandra. Peering into it, Rachel unleashes the full fury of her powers, creating a Phoenix effect. Rachel decides that she will live up to her mother's ideals, and prove that Phoenix is not a force of evil, but one for good. That she vows to use her full abilities to defend humans and mutants alike, in her name. The sudden flare of powers causes Rachel to black out and as she collapses on the floor, the globe falls out of her hands and smashes on the floor. At the Washington National Holocaust Memorial, Magneto and Kitty Pryde both go to an annual gathering of Holocaust survivors. Magneto because he himself lived through and survived the Holocaust, while Kitty's great-aunt went missing during the war and she is trying to find the connection for her late grandfather Samuel Prydeman who died the last year. Through talking to other survivors, Kitty learns that her great-aunt Chava Rosanoff was arrested and sent to Auschwitz, where she was murdered. After Magneto meets with some of the other survivors he himself knew in Auschwitz, he is reminded how important it is for human/mutant peace to endure as history could repeat itself for the mutant race. 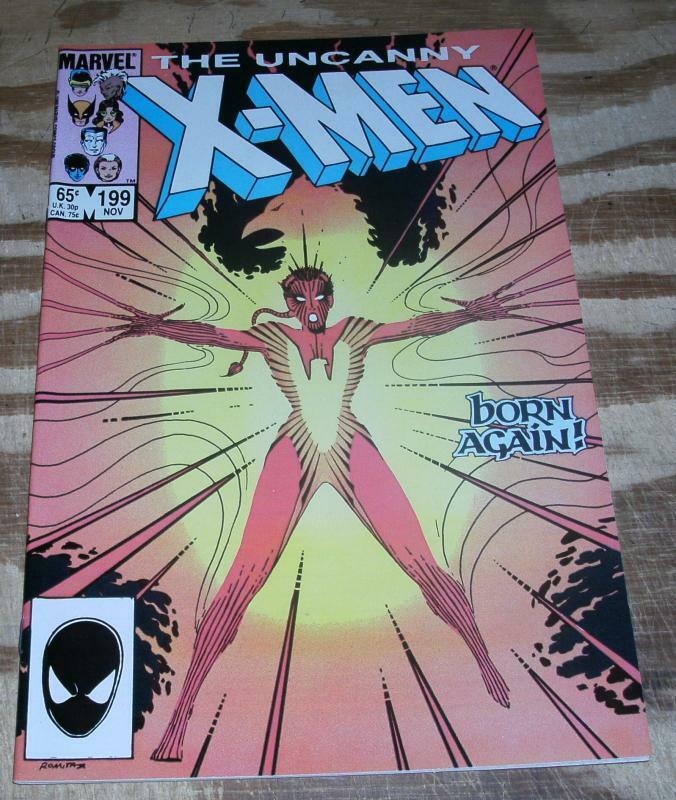 Items Similar To "The Uncanny X-men #199 mint 9.9"